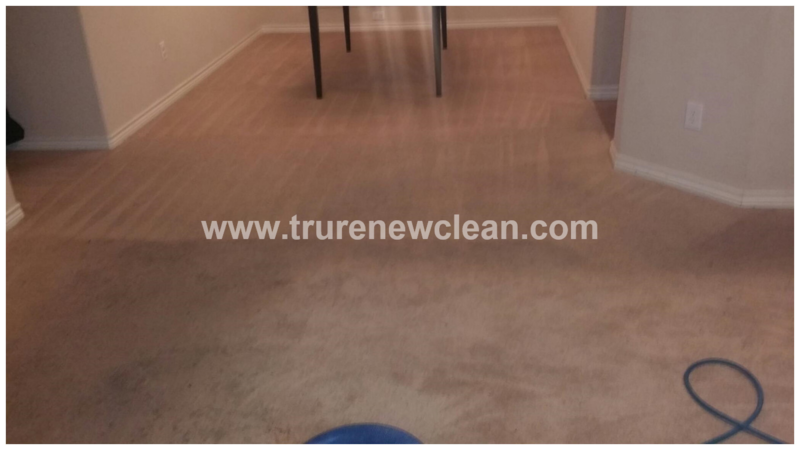 TruRenew Clean has been proud to provide superior quality floor cleaning services – including tile, wood, upholstery services, and carpet cleaning in Plano and beyond – to our many satisfied customers. Whether you are looking for regular floor cleaning maintenance to keep your carpets looking their best or one-time cleaning to take care of difficult spots, our professional carpet cleaning technicians will help to identify the best solution for your home's unique needs. We can handle nearly any of your property's floor cleaning needs — Our friendly experts will ensure your complete satisfaction. "Regular mopping and spot cleaning simply doesn't reach the hidden dirt that lies apon some floors. Our professional Tile and Grout Cleaning and Sealer service renews the luster to your floors, making them look new." "We provided a deep trucked mounted steam cleaning that included spot treatment. 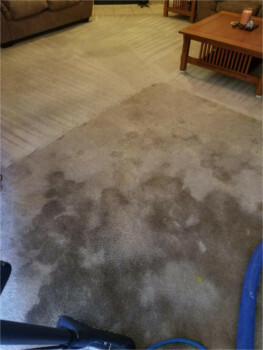 A pet enzyme treatment was need to help remove pet accidents from the carpet fibers and leave the carpet feeling fresh and sanitized..."
"My carpets were in serious need of a deep clean. I could not be happier with the results! They got spots out that I just knew were never coming out!! I'll definitely be using them again..."
"The techs who came out were very polite and professional, as was the owner who coordinated the entire service. Our commercial grade carpet looks better than it has in four years. It was a pleasure working with TruRenew and have already scheduled our quarterly service with them..."
"I can't say enough about the quality of their work and the level of their customer service. On top of that, they are very reasonably priced. 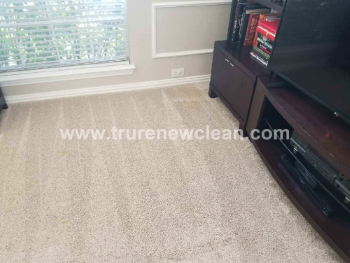 I hired them recently to clean my sofa in the family room of our home as well as the carpets..."
"We were contacted by a local plumber to clean the men's restroom at Wal-Mart in Rowlett, due to liquid plumber that was spilled on the floor. Noticing the product had been mopped around and caused white marks that looked like chalk..."
"Even after reading all of the great reviews I was skeptical that our carpet would turn out flawless and the price would not be what was quoted over the phone...."
"I needed help right away and I was moving out of my rental home and the company that I originally scheduled never showed..."
"Excellent service and our carpets look like we just purchased them! Will use your service again! Excellent customer service....."
"Great experience overall. They were able schedule a time right away, called on their way, and were on time. The technicians George and Justin were both very professional, communicated what and why they were doing...."
"I have used TruRenew Clean twice and both times I have been very happy with the job they did. He cleaned many types of carpets and area rugs in my house. This last time my grandchild spilled a red juice drink in my closet and he explained the process of removing the stain. Justin was honest and up front about everything...."
"I am so relieved! I had a soda stain on a carpet and I was so worried. It came out!! George was awesome and called in advance to let me know he was 30 minutes away....."
"Very happy with TruRenew's service. Bought a blue couch from Craigslist that had some staining and general wear and tear...."
"Amazing service and integrity! My carpets look amazing. They truly care to do their very best! I will recommend..."
"I've had two experiences with this company and each has been stellar! The technician George called when he was on his way and showed up right on time, got right to work, and was done very quickly. 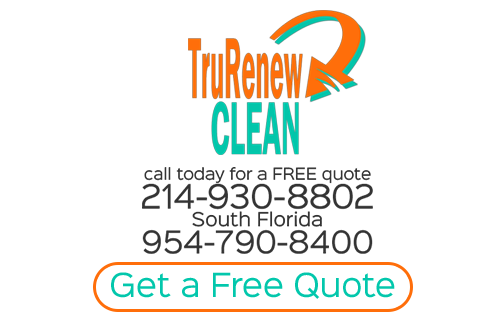 Miraculously enough..."
""I have 5 cats and a couple were having some health issues so I contacted TruRenew Clean after reading the reviews. I was very happy with the prompt appointment and service! Brett was..."
"George, was wonderful, funny, happy, and professional. He talked to my wife and me, and guided us..."
"The service techs showed up on time and were very professional. They made my 8 year old wood floor look..."
"The associate was on time and performed the work in the scheduled time window. ..."
"Awesome company! I sent in a request and they replied to me right away! Very responsible..."
"These guys were fantastic. When I was looking for someone to clean my area rugs, not only were they the only company that answered their phones and have a reasonable price..."
"AWESOME service! The staff on the phone, as well as the repair staff (George) we very helpful! They actually called me 30 minutes ahead of time and ..."
""L-O-V-E the TruRenew Team! Two kids, one naughty dog, and a husband who likes to "tinker" in the garage do not mix well with ivory colored carpeting in the family room. ..."
"Outstanding customer service from the office staff to the guys that serviced my home. 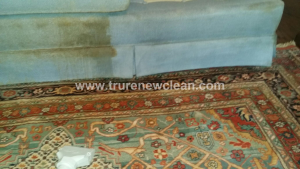 ..."
"I scheduled with Tracy to have my upholstery cleaned prior to my daughter's baby shower. George came ..."
"""I called TruRenew and spoke with Tracy, she was so helpful with the scheduling and reassured me that they have the best technicians. She was so correct. When George arrived I showed him my home and we discussed my concerns...."
"I called to have my carpets cleaned because I am selling my home. I did not imagine anything could be done for the hole that was in my carpet, but I asked anyway. Tim was my technician and he said they repair carpet and issues like this all the time..."
Wood Floor Cleaning in Frisco, Texas. "Wax products were visible on the wood floor causing a white haze from the customer using a product from the local store to clean their floors. 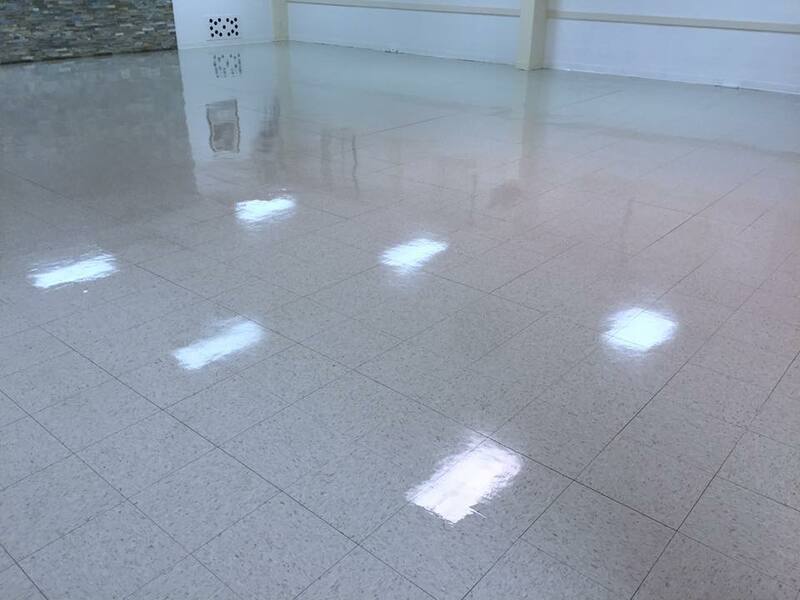 Our technicians removed the cleaning residue and left the floors looking new again." Steam Carpet Cleaning in Plano, Texas. "With the newest state of the art truck mounted steam cleaning equipment, TruRenew Clean's cleanings leave your carpets looking cleaner than before, Check out this customers 20 year old green cut berber,carpet with heavy traffic transformed to look new"
Tile and Grout Cleaning with Sealer in Rockwall, TX. "Amazing hospitality and friendliness from the first contact by phone to the appointment in my home. Very efficient and productive work with great results, as well as a great price. The tile which was in a mess looks brand new!" 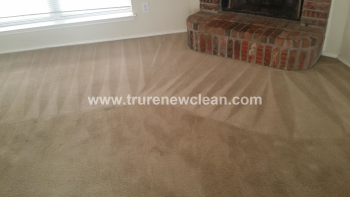 "I called TruRenew and spoke with Tracy about getting my carpet cleaned. Even with short notice she was able to get us in with in two days and was friendly while setting up our appointment. On the scheduled day George showed up on time and ready to clean." "Fantastic service. Rugs looked brand new after George was done. You wouldn't believe the amount of dirt/filth he was able to extract from the rugs." 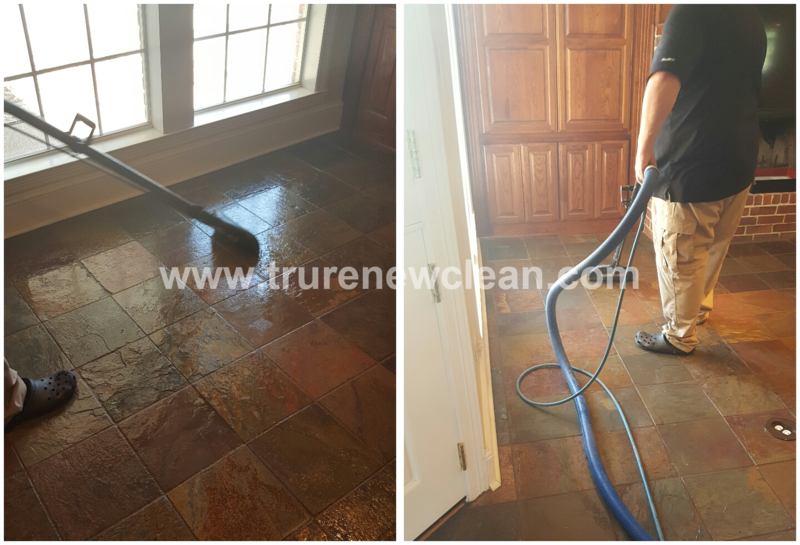 Slate Floor Cleaning with Natural Stone Sealer in Dallas, TX. 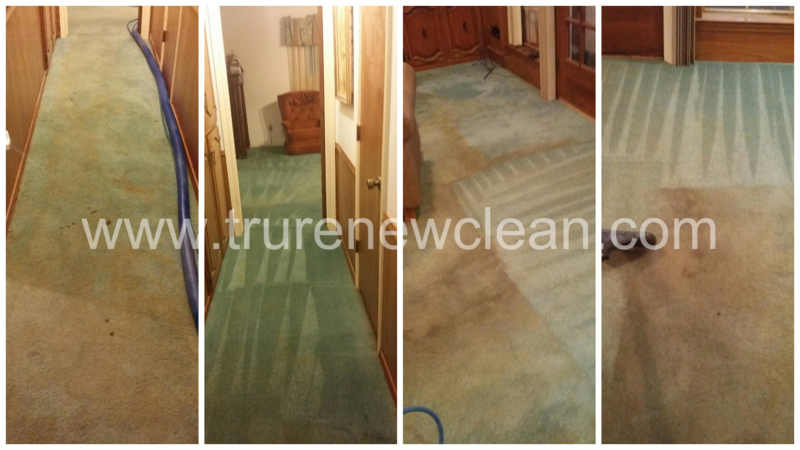 "Would definitely use TruRenew Clean again! George cleaned our slate floor and sealed them. On time, and polite. Very professional too! His equipment he used also was very clean, so I think that speaks highly that he takes care of his equipment." "I have used other big name companies to clean my home, but needed a company that was affordable for the bank that I manage. I contacted Competitive Floors in McKinney and asked for a recommendation on a cleaning company. I needed the floors cleaned inside the bank but after hours. George and Jennifer were amazing." Elizabeth P. says: "I originally called another company to my home to clean my satillo tile floor, which after 3 days of attempting to clean said company never returned, leaving my home in complete array. I then called TruRenew Clean to come out and see what could be done if anything. George and Jennifer both came out and assured me they could make my floors look amazing. They started the cleaning my floors 2 days later and then stayed until the job was complete the same day. They saved the day because I had a party that weekend. I will always use and refer any of my friends and family to TruRenew. Thank you for saving my floors!" 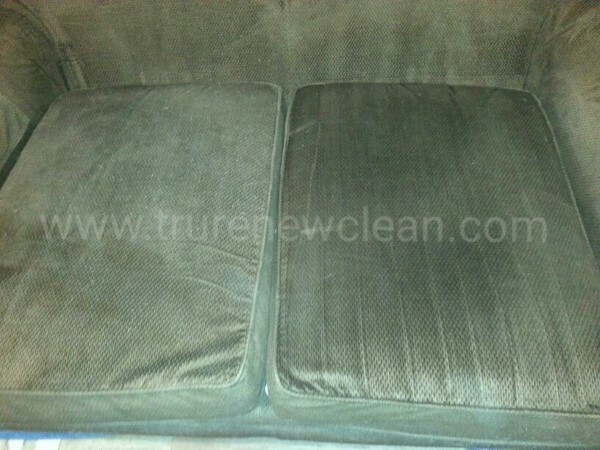 Tina S. says: "TruRenew Clean performed miracles on my formal chair. This chair I did not realize just how dirty it was, until I took the following picture while Jennifer was cleaning. George and Jennifer are the perfect team and made me feel so comfortable with them in my home. They explained the process and then performed miracles. THANK YOU!" Catherine I. says: "I contacted multiple companies to clean my 1940 brick custom white washed floors. 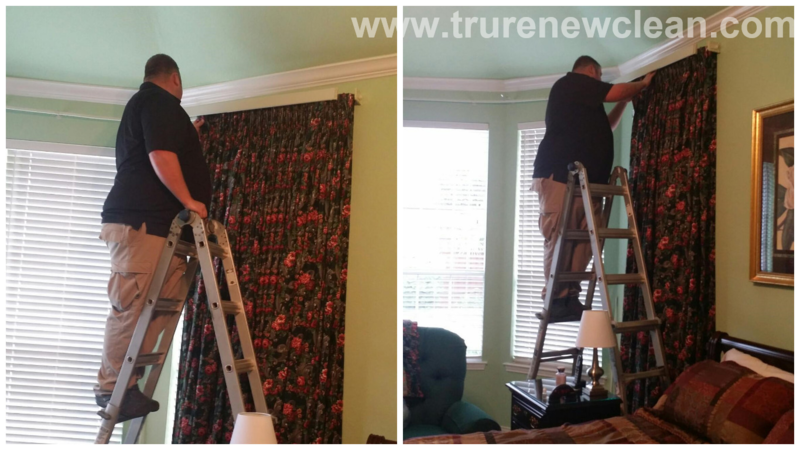 George and Jenn with TruRenew Clean was the only company that was able to give come to my home and give me a quote and show me how the process was going to work." 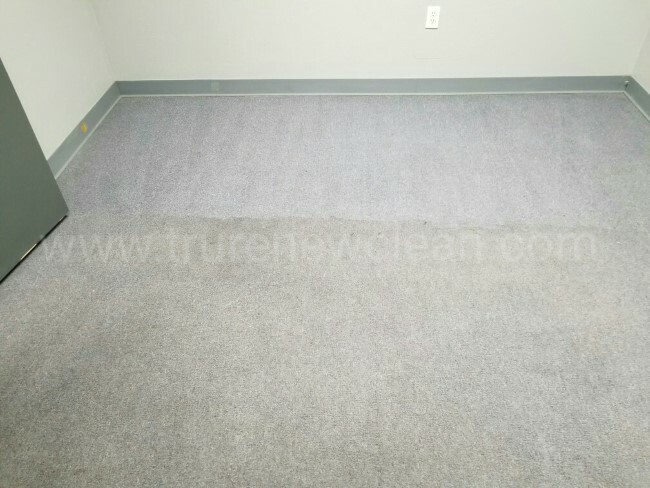 Pamela E. says: "I called TruRenew to have a carpet patch installed because my dog tore a hole in the carpet for the second time … I can't even tell there is a patch there. I will always continue to call your company in the future. Thanks for the great work." Deena S. says: " I was certain that my carpets needed to be replaced. George showed me the damage but assured me that he would be able to take care of the odor … I am pleased to say they saved my floors. My home feels like a home again without the smell. THANKS AGAIN!" Timothy M says: "I have used Zerorez for years and have never been satisfied but for lack of trying a new company always stayed with them. I am glad they could not fit me in their schedule this time. 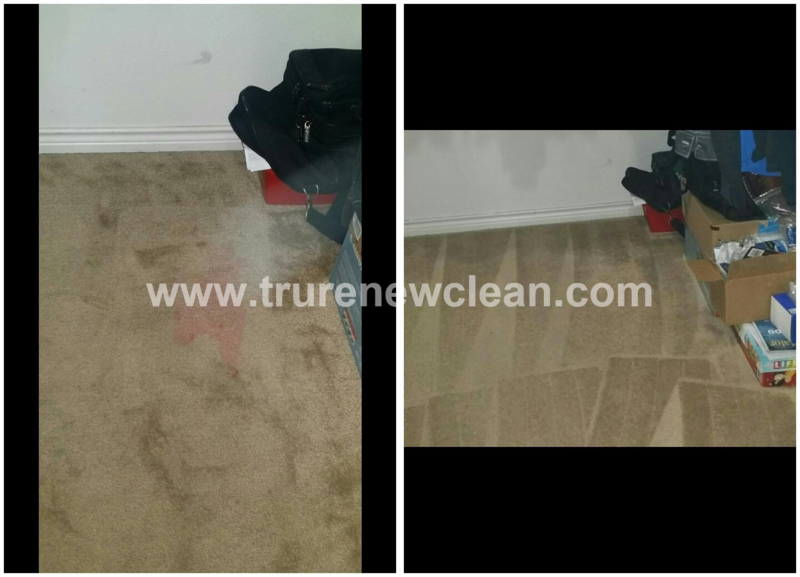 I called TruRenew and they were happy to schedule my appointment and my carpets have never looked better"
Gretchen C. says: "20 Years of dirt, grease and grime GONE!!!! I have scrubbed on my hands and knees cleaning my kitchen floors and I have never been able to make then sparkle like George and his wife. They were so friendly and a pleasure to have in my home. " 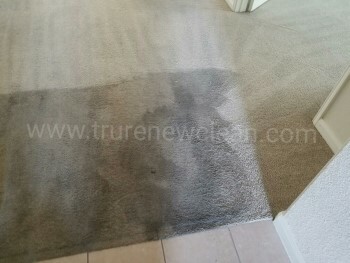 Larry G says: "We never knew where the smell was coming from because there were not really any stains.George and Jenn with TruRenew came out and located the pet urine in the closet area. We had NO IDEA how much damage these little terrors had caused." Katherine H. says: "They showed up to my home on time, ready to work and began promptly. My floors have never been this clean since they were installed. George even left me with some simple after care tips to help with not running into the same problem again. " Maria L says: "George and Jennifer came to my house to clean my bedroom and hallway. These areas were heavily stained and in desperate need of cleaning or else I was going to have to replace. WOW these two did an amazing job." Marvin B says: "The team did a WONDERFUL JOB! My clay floors are 20 years old and now look brand new. I could not believe just how dirty my floors were. I will always call George and Jennifer back anytime I need my floors cleaned." Monica E. says: "After my cats caused havoc in my dining room, these guys (and gal) came to my rescue. The smell was so terrible we almost could not stand to be in the home any longer. They were so professional, never complained or even grimaced at the smell. George and Jenn were very friendly and I would definitely recommend them to anyone and everyone who needs their carpet cleaned." If you need floor cleaning services, just like our recent projects above, from a Plano Carpet Cleaning professional then please call 214-930-8802 or complete our online request form.